Faculty of Arts and Social Sciences, Visual Arts and Visual Communication Design program Visiting Faculty Member Michael Bishop’s first solo show in Istanbul “Suspicious Explanations” opens at Galeri Nev İstanbul on May 9th. Bishop’s powder coated metal works and photographs printed on felt transform the gallery space to a stage on which subtle associations between language and objects are played upon. As Bishop’s surfaces resist reflection and gravitation, the objects create a peculiar sense of presence. 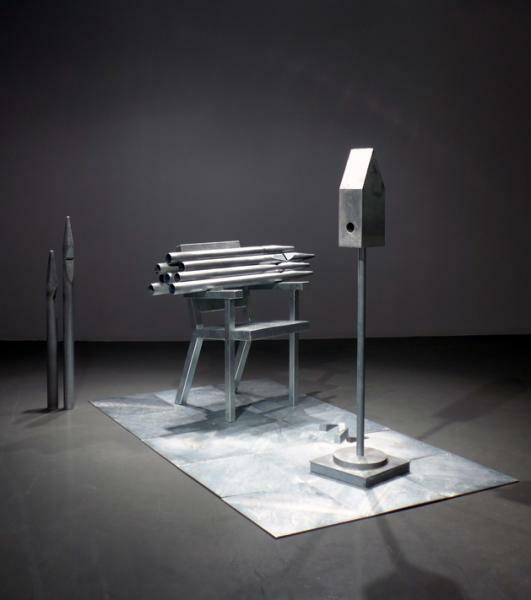 The blurry sense of weight in Bishop’s objects conveys an obscured idea of materiality. Absorption of light on the surfaces grants the objects an introverted feeling, turning them into self-contained forms. The distribution of forms around the gallery space on multiple axes resemble to a dispersed yet coherent linguistic structure. Symbolic associations attached to these forms pave the way for multiple discourses to hover around this stage upon which the solid and the hollow seem to be cut into two clear halves. The presence of the audience can only have an arbitrary function between these two. The stark contrast between inscribed and vocalized language in Bishop’s works calls for contemplation of the relation between expression and affection. Quotes from unnamed literary sources and a consistent use of the first-person narrative put subjectivity into question. The tensional relation between the authority and the subject determines the context of this interrogation. 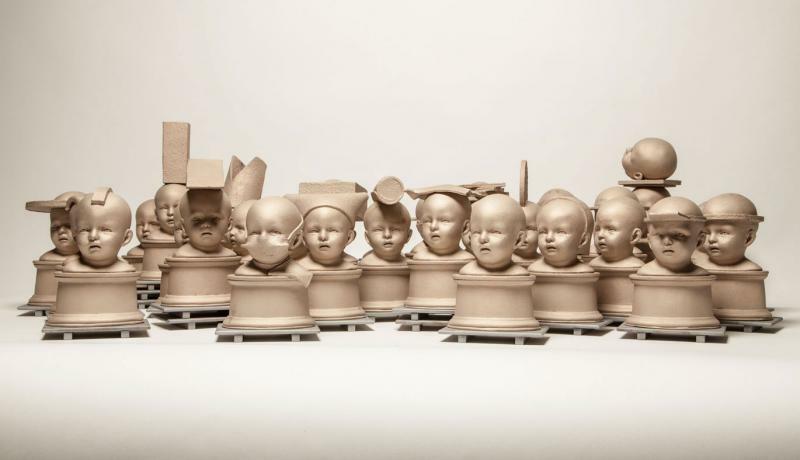 Baby boy heads with different forms add a satirical dimension to Bishop’s questioning as they subvert the sculptural genre of bust. The reference to “black and brown” in one of the inscribed texts underlines the bleak political atmosphere the artist attempts to empty out and fill with his call for contemplation within the gallery space; a space one can habituate but not belong to. The act of counting infiltrates Bishop’s works through different paths creates a sense of rhythm in line with his call for a contemplative gaze. The time inscribed on the image (İstanbul Azan hours in “Timing”) and the image of time run out (a pile of ash in “Counting Trees”) brings multiple temporalities forward. Rather than sticking with these different temporalities Bishop chooses to create gaps between them. The call for the repetitive act of counting is also vocally and physically present in Bishop’s installations. The insistent rhythm of the exhibition goes hand in hand with a cold sensation of serenity and abandonment. 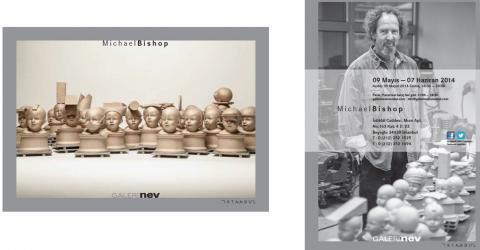 Michael Bishop is based in California; both continuing his studio practice and academic work as Professor of Art at California State University, Chico. He has been in Turkey during his stays as a visiting lecturer since 1986. He got numerous academic and studio awards including Fullbright Scholarship, Arts & Industry Residency, Kurtz GmbH, Wertheim, Germany and California Arts Council Artist Fellowship Award For The Visual Arts. 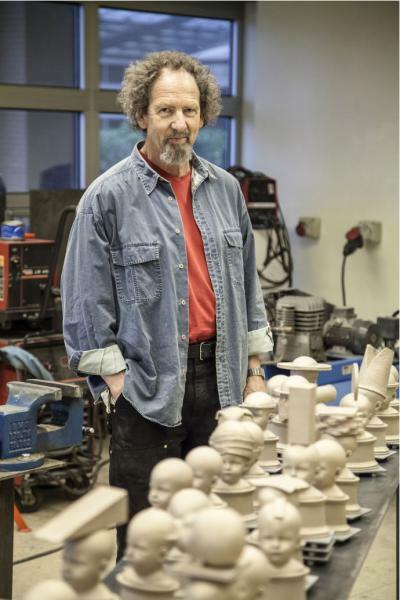 His works are included in many collections like Karstadt GmbH, Essen, Germany, Triton Museum of Art, Santa Clara, California, and John Michael Kohler Art Center, Sheboygan, Wisconsin.